GET OUT directed by Jordan Peele is like no other film that I have ever seen; not a conventional comedy, nor a conventional horror movie - but rather a trenchant psychological thriller about black/white relations incorporating myth, history, and racial symbolism resulting in an intelligent, profoundly moving fable. 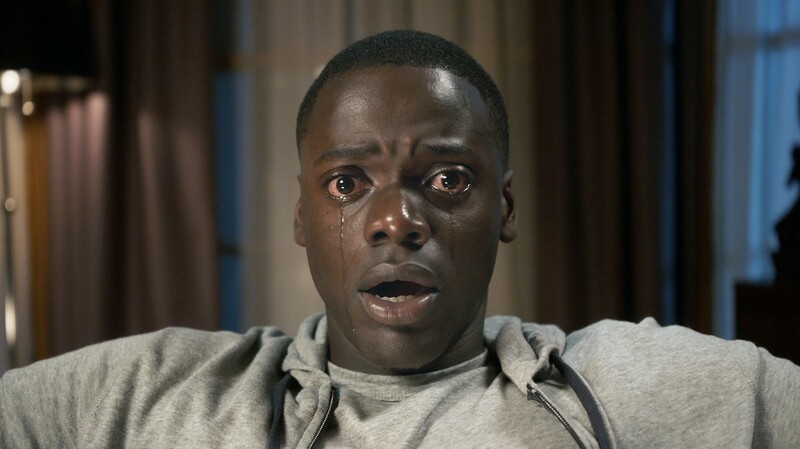 GET OUT opens with an abduction of an innocent young black man who is lost, aimlessly searching for an address on a quiet suburban street in the dark of night - this one abbreviated cinematic moment encapsulates years of racial violence, forecasting what lies ahead for the viewer. We witness a young couple who appear to be disarmingly happy - a young African American man Chris Washington (an excellent Daniel Kaluuya) and his white girlfriend, Rose Armitage (a lovely Allison Williams) packing in preparation for a visit to her parent's home in the suburbs. Once they are in the car leaving the city they allegorically cross a “color line” and the mystery and tension mount with baleful incidents that augur a grim future. 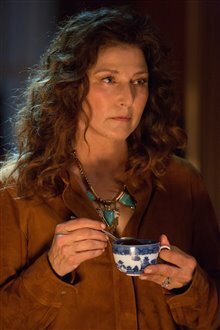 When they arrive at their destination, we observe in the behavior towards Chris, a cool veneer that is draped over each character like a shroud of duplicity, particular Rose’s “liberal” parents (the wonderful Catherine Keener as her mother Missy) along with a groups of friends who are invited to an annual lawn party. Each character is satirically delineated with a familiarity that betrays their inner bigotry. GET OUT is so biting that the ensuing marks claw deeply under our skins. Jordan Peele (formerly of Key and Peele) in his directorial debut makes memorable use of his powerful comedic skill, but this time we do not laugh with joy, but we drown in the despair of a modern-day allegory of stereotypical attitudes and conspiratorial stratagems towards Afro-Americans that are as original and devastating as a science-fiction tale.